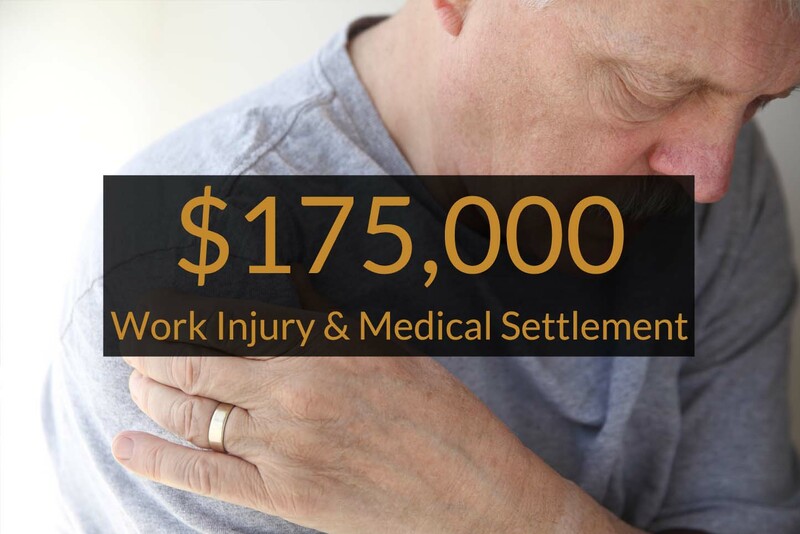 A settlement of $175,000, plus continued medical care for life-related to the torn rotator cuff at work, was negotiated by attorney Eric Betzner on behalf of one of his clients. The injured worker was a custodian at a school, where he had worked for over thirty years at the time of his injury. He sustained a tear of his rotator cuff while lifting a heavy door at work. As a result of this injury, he underwent surgery for the torn rotator cuff and was left with permanent loss of motion and restrictions which prevented him from performing his job as a custodian. He was, however, capable of doing lighter work. After several months of negotiation, Attorney Betzner was able to obtain a settlement for the injured worker, who subsequently was also able to collect his pension, allowing him to live comfortably on his pension, proceeds from his settlement and income from a part-time light duty job that he then found with a new employer. One of the most common injuries seen in our practice is the back injury. People hurt their backs in auto accidents, slips and falls, trips and falls, industrial accidents and truck accidents, just to name a few. Sometimes the injury is catastrophic, immediate and easy to link to the accident that caused it. Other times, the back injury does not appear to be as severe, occurs insidiously over time, or is complicated by pre-existing conditions and delays in treatment. It is the second category that can present unique problems in linking the injury to the event. Although it is always important to seek immediate treatment, it is even more so concerning this second category. Getting these injuries medically documented by hospitals, doctors, chiropractors and therapists as soon as possible helps the injured person to link the injury to the accident legally. Continuing the treatment when necessary and as recommended by the medical professional helps the injured person head-off arguments by the responsible party that the injury is just part of the pre-existing condition and not caused by the accident. 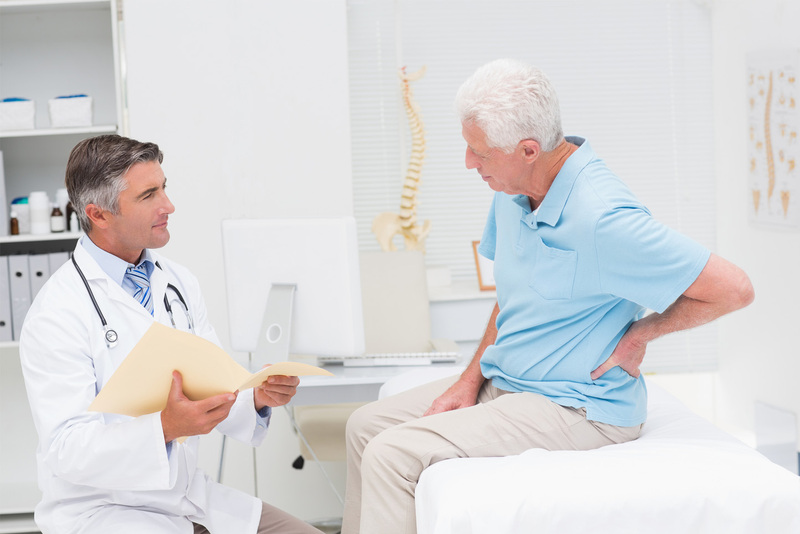 A medical exam is necessary for most claims involving a back injury. The injured person should be forthcoming and honest with the medical providers when it comes to similar problems in the past. This way, the medical provider can obtain the prior records and ascertain if the condition caused by the accident is somehow different or more severe than the problems that existed before. The reason that this is important is that no matter how obvious it may seem to you or your attorney, medical evidence is required to prove that an injury is related to an event, like an accident. To prove a link to your injury, your attorney will often write the doctor for his opinion as to whether your condition is the result of, or related to an accident. If your doctor does not have a complete understanding of your medical condition, including any similar past problems, his or her opinion that the condition did result from the accident can easily be called into question by the person who caused the accident and the responsible liability insurance carrier. Following this advice can also increase the value of your personal injury case for your back injury whether it is a strain, sprain, or herniated disc.